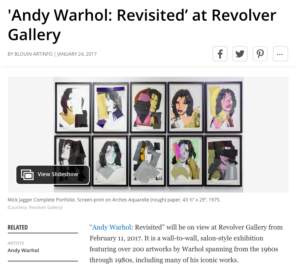 “Andy Warhol: Revisited” will be on view at Revolver Gallery from February 11, 2017. 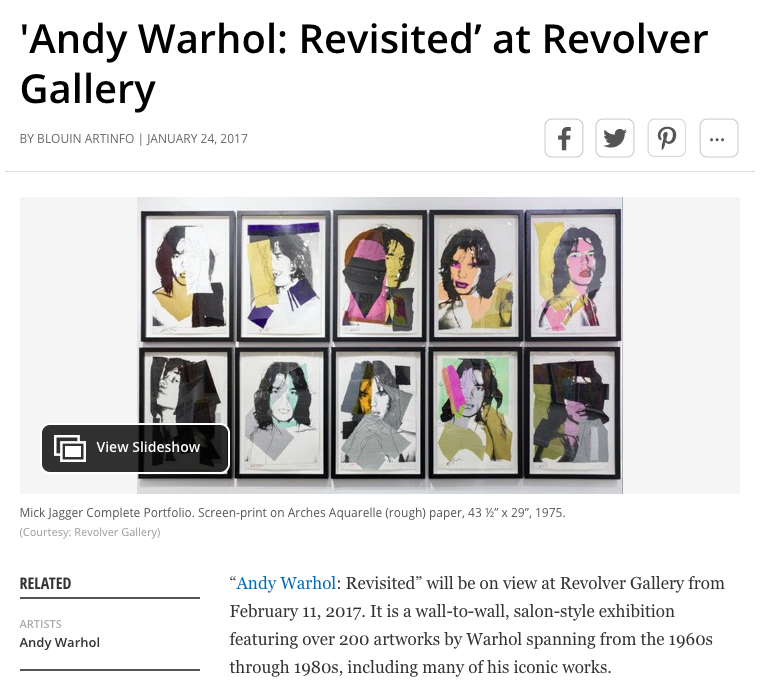 It is a wall-to-wall, salon-style exhibition featuring over 200 artworks by Warhol spanning from the 1960s through 1980s, including many of his iconic works. Visit BoulinArtInfo to read the exclusive article.